The like button is a feature in forums where the user can express that they like, enjoy or support certain post. wpForo displays the number and name of users who liked each post. This is a quantitative alternative to other methods of expressing reaction to content, like writing a reply text. Rather than posting “+1” or “Agreed”, users can use the Like button. 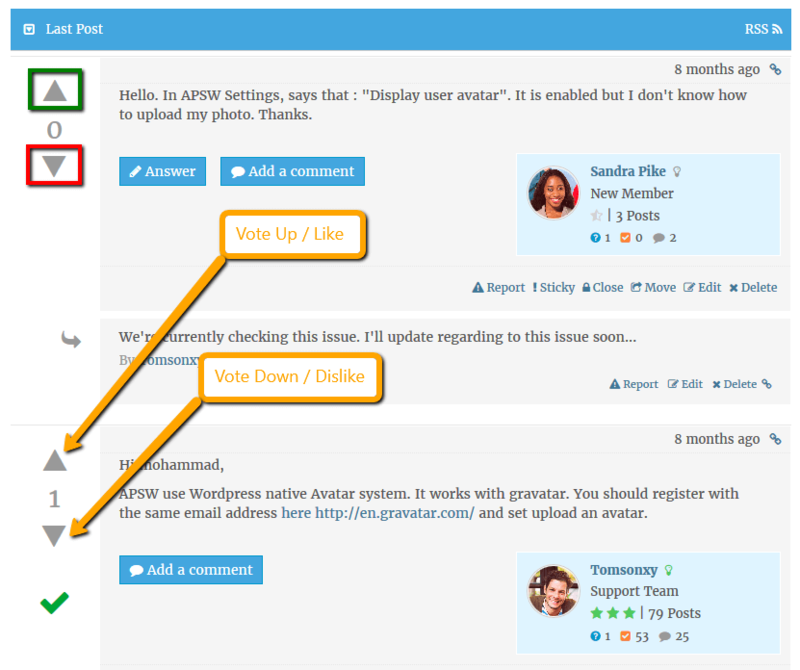 This is a regular like button, you can see that on regular forum layouts such as Extended and Simplified. In Q&A layout the like button has been modified to Vote Up and Vote Down buttons, this helps to find the best answer in answers list. The green icon under Vote Down button indicates the answer, which has been selected as favored answer by question author. It also says this answer was helpful and the issue is resolved. This is an alternative to regular forum layouts’ Solved button.